Dogs, just like humans, have certain limitations when it comes to eating. For one thing, they lack the tolerance to certain types of food which can lead to sickness and sometimes even death. No matter how difficult it may be to resist our dog’s begging for food, it is important to note whether it will be safe or not when we give in. Here are the top 13 foods that we should never feed our dogs. While it is true that there are some people who are allergic to chocolates, the effect of eating chocolates among dogs are believed to be more harmful. The reason is that chocolates contain theobromine which is toxic for dogs. We often hear that dark chocolates are good for us but this type of chocolate as well as baking chocolate contain a higher level of theobromine. If chocolates can give us the energy we need to survive a day’s work, chocolates eaten by dogs can bring unhealthy results such as vomiting, feeling severe thirs and diarrhea. 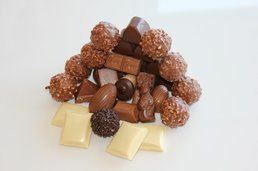 In extreme cases, chocolates can cause tremors, seizures, abnormal heart beats and even death. My advice? If possible, don’t let your dogs see you eating chocolates. An accidental drop may lead to a lifetime regret. Keep your chocolates out of easy reach and place them in tightly sealed containers. At first glance, corn on the cob seemed safe for our dogs to eat. However, there’s a risk that our dogs would also think about eating not only the corn, which can be easily digested, but also the cob. After all, how would they know that it’s not edible since their humans would just throw it away? An eaten cob can get stuck inside the small intestine which can only be removed through surgery. Moreover, dogs can suffer from an upset digestive tract when they eat too much corn kernels. What about young corn? 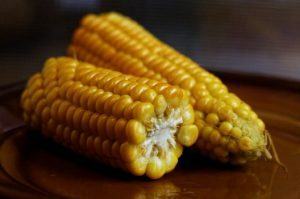 A cooked young corn is soft and would probably be safe for your dog. Just the same, keep everything in moderation or better yet, stick with the rules whether it is a mature corn or not. Onions, whether eaten raw or as part of a cooked dish, are definitely toxic and poisonous to our dogs. However, we can only see the signs of poisoning after a few days that our dog has consumed this vegetable. 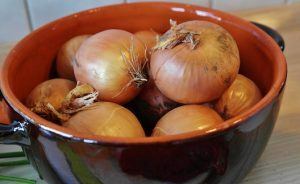 So how can onions harm our fur babies? Since they have certain compounds, onions are believed to be damaging to our dog’s red blood cells. As a result, our dogs become weaker and have the lesser desire to move around. It may be necessary to conduct a blood transfusion on severe cases of onion consumption. 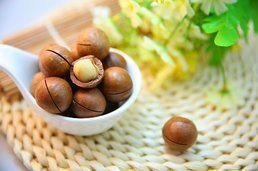 For us humans, macadamia nuts in chocolates may seem like an ultimate dream! However, this type of nuts is like a nightmare to our dogs. They are said to contain a type of toxin which can inhibit our dog’s locomotive movements. As a result, our dogs suffer from weakness, swollen limbs, panting and tremors. All of these symptoms can happen in just 12 hours of ingestion which may last from around 12 to 48 hours. There’s also the possibility to suffer from damages in our dog’s muscle, nervous and digestive systems. If you’re seeing the symptoms in your dog and attributing those to macadamia nuts, at least figure out the possible quantity that your dog has consumed. Contact your vet if you’re in this situation. Do you like feeding your dog with meat? Just try to keep it at a minimum. 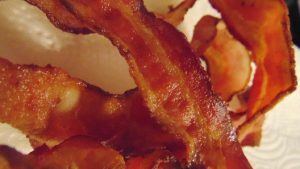 Better yet, avoid giving foods that are rich in fat such as bacon, ham or meat trimmings. Fatty foods can cause pancreatitis in our dogs. This means inflammation of the pancreas which eventually leads to its malfunction. Some of the body functions that can be affected by pancreatitis include digestion and nutrient absorption. In extreme cases, we can notice how our dogs tend to drink water excessively which can lead to bloating and therefore could be fatal. Yup! Garlic should be in the list since it’s part of the onion family (hmmm…this family certainly hates dogs.) 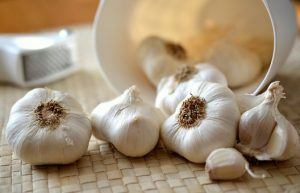 Needless to say, garlic, compared to onions, is even more dangerous as per ounce of serving. This is because it contains compounds which have strong toxicity levels. While a small dose may not cause a lot of harm (in fact many breeders say it makes a great flea repellent in small amounts), a large dose or giving our dogs small doses regularly can result to poisoning. Some of the symptoms you need to look out for to determine garlic intoxication include loss of interest in food, breathlessness, vomiting and weakness. From the leaves of the avocado to the pits, bark, seed and fruit, a toxin called persin can be found which, if present in large amounts, is harmful for dogs. Symptoms of persin intoxication include vomiting, diarrhea and heart congestion. 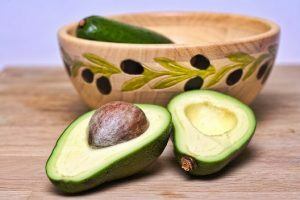 The most dangerous thing about the avocados is the pit which can be swallowed by dogs accidentally. This leads to obstruction of the dog’s gastrointestinal tract which can be fatal. Dairy products such as cheese and milk have sugar and fatty components which can cause health problems in our dogs when consumed in excess. These include symptoms such as vomiting, diarrhea and gas. 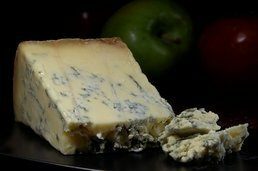 Perhaps a more dangerous variety is the blue cheese (Roquefort and Stilton). They are believed to contain the so-called roquefortine C which is said to trigger ailments such as vomiting, diarrhea, seizures, twitching, tremors and high temperature. The best thing to do when you see these symptoms in your dog is to seek veterinary advice. Grapes and raisins contain an unknown type of toxin which can cause rapid kidney failure in dogs. 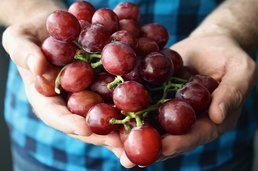 Other health issues brought by grapes consumption include diarrhea, vomiting and lethargy. There is also the tendency to develop dehydration and loss of appetite. Dogs that have existing health issues are at higher risk since a single raisin can already be regarded as severely toxic. Having said that, most experts are saying that there is no such thing as a safe dosage as far as consuming grapes and raisins is concerned. Apple cores are said to have cyanogenic glycosides otherwise known as cyanide. When the toxin is ingested, you may notice the following symptoms in your dog: collapsing, dizziness, shock, struggling to breathe, hyperventilation, seizures and in some cases, even coma. Apple seeds are also toxic since they contain amygdlin, a natural chemical that takes out cyanide once digested. 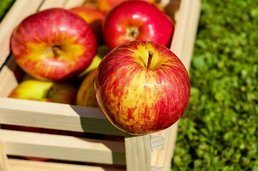 To keep things safe, always core and seed the apples prior to feeding your dog. A recent trend reveals that there are people who are feeding their fur babies with raw meat diet. However, this type of feeding practice is deemed risky and most vets don’t really encourage it. First, raw eggs have salmonella or e. coli. They also contain a type of enzyme which causes skin problems on our dogs. Raw fish, when consumed regularly, leads to Vitamin B (Thiamine) deficiency. A lack of this vitamin can be shown in symptoms such as loss of appetite and seizures. Death also occurs in rare cases. 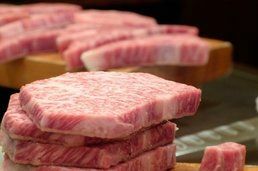 Lastly, uncooked meat harbors bacteria which can lead to food poisoning. If you enjoy coffee or tea and want to share your love of caffeine to your fur baby, you may have to think twice before you do. Coffee is said to contain Methylated xanthine, a type of stimulant which can stimulate the dog’s nervous system. Compared to people, dogs are more sensitive to caffeine. When swallowed, your dog may experience vomiting, heart palpitations, restlessless and in some cases, death. 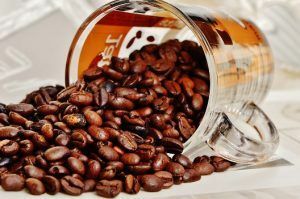 Caffeine poisoning and its treatment can be comparable to chocolate toxicity. Similar to apples and avocados, peach pits are choke hazard and are said to contain amygdalin. It is a compound between sugar and cyanide which, when metabolized, transforms into hydrogen cyanide (HCN). Persimmon seeds can cause painful and serious health problems in our dogs such as intestinal obstruction and inflammation of the small intestine. 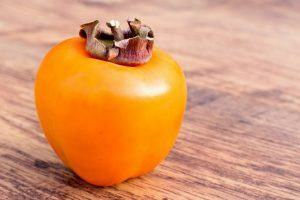 While the persimmon fruit itself is not dangerous, it has a laxative effect on dogs. Small-sized dogs can suffer from diarrhea just by eating a few persimmons. In the case of plums, plum pits are also choke hazard and therefore should not be fed to our dogs. It also contains the toxic material cyanide.